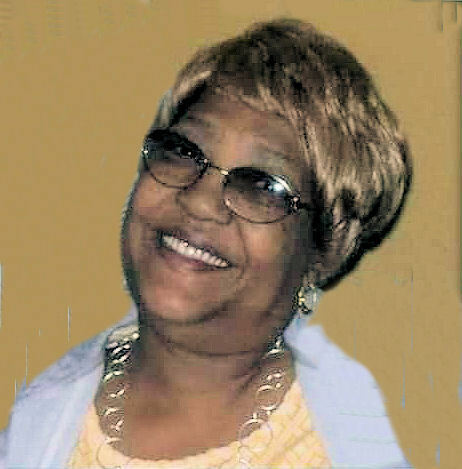 Obituary for Bettye Jean (Knox) Johnson | King-Tears Mortuary, Inc.
Bettye Jean Johnson was born Bettye Jean Knox to the late Tom Knox and Ruthie Mae Williams Knox on March 2, 1941 in Bienville Parish, Danville, Louisiana. From this union, she was the fifth eldest of seven children. Bettye Jean was preceded in death by her parents, her sister, Sallie A. Turner, three brothers, Tommy A. Knox, William J. Knox, and Odell Knox. She attended Shady Grove High School and moved to Shreveport, LA. Bettye met and married Edgar Nuckols, a U.S. Air Force Officer and from this union three sons and one daughter was born, Rickey, Tanglyn, Eddie and Carl, all residing in Texas. Betty accepted Christ early in her life in the Baptist faith. Her faith carried her throughout her life as a loving mother of four children who diligently worked to provide for them. There was nothing she would not do for her family. In 1980 Bettye met and married Sgt. 1st Class George Lee Johnson and remained married for 38 years. Welcomed in this union was a step-son, Michael Williams of Germany. Bettye was employed at the Travis State School and later worked at Motorola where she retired. Bettye Jean Johnson is known to many as “Mama” to all that graced her presence. She was warm-hearted and easy to talk to about whatever troubled you. She was a great mother, counselor, friend, and cook. SCRIPTURE: JOHN 11-26,28 And whosoever liveth and believeth in me shall never die. Believeth thou this? And when she had so said, she went her way, and called Mary her sister secretly saying, The Master is come, and calleth for thee. Her memories will forever be treasured by the many love ones she leaves behind: her husband, George Johnson, her great-aunts, Kate T. Williams and Willie Earnestine, her brother, Tommy W. Knox, her children, Rickey, Tanglyn, Eddie, Carl, and step-son, Michael; her daughters-in-law, Tiffany and Angie; her grandchildren, Chassie, Breanae, Rickey, Jr., Tiffani, Mariyah, Tanglyn Danielle, Breaone, Cha’Lesica, Ashton, Tameshia, Alston, Airston, Tiasia, Carl, Jr., Jayden and Jordan. She also leaves a host of cousins, nieces, nephews, and great-children.